Here's the latest addition, my property of the white rabbit vintage style necklace. I am so in love with this necklace. 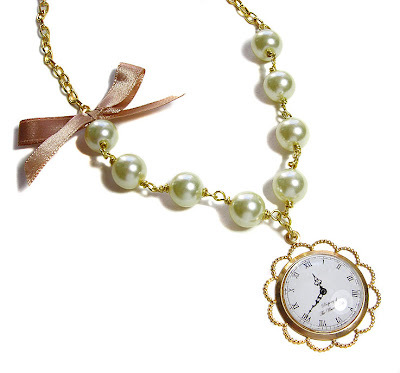 I've used a beautiful watch image pendant and mixed it with Ivory coloured glass pearls and Latte ribbon to create this truly vintage look. The best thing about this necklace is if you look closely you can she the words 'property of the white rabbit' written on the watch face! 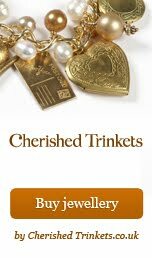 As always, click here for information on where to purchase my jewellery. Very beautiful necklace, I like the little bow that gives it an elegant look. That is such a beautiful design! Is it available to buy?